Welcome to episode 49 of our kidlitwomen* podcast! Every week this podcast will feature an essay about an issue in the children's literature community (Monday) and a discussion about the essay (Wednesday). In this episode, Sarah Aronson discusses her essay "The Future is Female, A Conversation at AWP," (which can be heard in episode 48) with Shana Targosz. Sarah Aronson began writing for kids and teens when someone in an exercise class dared her to try. Since then, she has earned an MFA in Writing for Children and Young Adults from Vermont College of Fine Arts, and published three stand alone novels: Head Case, Beyond Lucky, and Believe. 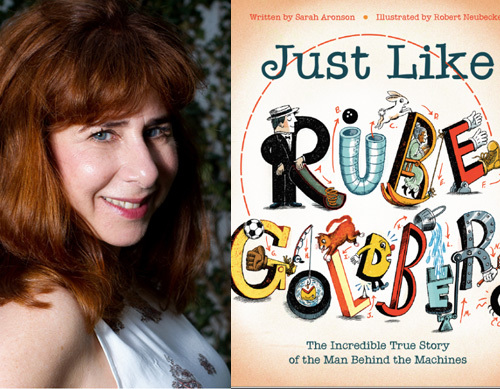 Her most recent books are part of a new young MG series, The Wish List (Scholastic, 2017-2018) as well as a forthcoming picture book biography, Just Like Rube Goldberg (Beach Lane Books), illustrated by Robert Neubecker. Sarah loves working with other writers in one of her classes at the amazing Highlights Foundationor Writers on the Net (www.writers.com). She is also the cofounder of the Writing Novels for Young People Retreat at VCFA. She has served as an SCBWI mentor in both Illinois and Michigan, and is now the PAL coordinator for Illinois. shana: I'm Shana Targosz, talking with Sarah Aronson about her essay, The Future is Female: A Conversation at AWP, which was about something that happened at the Association of Writers and Writing Programs conference in Tampa, Florida. shana: Sarah, thank you for joining us today. Sarah: I'm so happy to be here. shana: Can you tell us, why did you write your essay and what do you hope people take away from your essay? Sarah: Well, I have to say that when the kid lit women posts began to come up, I was totally inspired by everything that everybody was saying, and the bravery which they showed, talking about really difficult topics. I knew I was going to AWP, and I knew that I was going to be part of this conversation, and I guess I trusted that something amazing was going to happen. Sarah: I didn't really plan or know exactly what I was going to write about. I didn't really know what was going to happen at that conference. But I write an essay every single Monday for writers, and my rule for that essay is that I never think about it until I write it. So, I applied that same process to this. I trusted myself and I was sure that something would happen. Sarah: And then, of course, something did. We had to overcome the Nor'easter, we had to work together to make sure that we had a panel to begin with, and that itself was really the basis of what I wanted to speak about and how community is so important to movements in general, but also to women coming together to make change. shana: Absolutely, and what I was so inspired about with your essay was the woman who approached you at the end, that was just phenomenal. Sarah: It really was a moment where I had to pause. She was probably the same age as my mother. My mom also did not have a career, and I think she always regretted it. In this women's honesty, I felt the yearning of so many women I knew growing up who felt left out and who felt like they were watching from the sidelines, and who looked at change and felt fearful that their voices would never be heard. shana: Right, and what a time for all of this to be coming up and for us to find our voices and really let ourselves be heard. Sarah: Yes! The roaring is amazing, and it's inspiring as writers. What a time to be living in, to be feeling the optimism and anger clashing with each other at the same time. shana: Yes. That actually brings me to my next question. Is there anything about your essay that you fear people might misunderstand? Sarah: I think that when that women came to me with her concern about pronouns, which I worry that maybe people think I took it lightly or that I think that fear is an excuse for not growing or changing, when really what I wanted to make sure people understood was that admitting you're fearful is the first step toward change, toward growth, and that feeling welcome and safe to be able to say what you are afraid of is the gift that we can give each other. Sarah: I think that that's what we writers give each other all the time in workshops. We say, "This is a safe place, and we're going to try new things here, and you're not going to be penalized for getting it wrong." Sarah: I hope that people did not read the essay and think, "Oh, she thinks fear is an excuse." I don't. I think fear is the front door. Sarah: That's right, we're all learning. I mean, I thought I was pretty "there" when this started, but I wasn't. I had so much to learn, and every day now, I'm amazed at what I'm learning and how I'm changing and how I see the world, and how opening the doors to others has helped me become a better person and writer. shana: Was there anything difficult about writing this essay, that you found, "Oh, wow, I didn't realize that this is something that I would struggle with?" Sarah: Well, blogging and writing is always difficult. I probably sat there with the computer at the conference, thinking, "Why did I sign up for this?" Like, "Ah, what am I ... " I always get nervous. Sarah: But, I always just go back to honesty and go back to what's personal and what's private. When I am willing to reveal something about myself and about my own fears and my own love and dedication to community, to working together, then I know that I'm going to say something that is worth reading. shana: Now, was there anything that you had considered adding in after the fact, or that you had considered adding in and decided to leave out? Sarah: There were other women who I spoke to at that conference who had other concerns, and there were men who were a little bit offended. And one in particular pulled me over and said, "It's nice that you're all talking about women, but where is the role for allies?" Sarah: I didn't want to go there. I could have gone there. I could have included his voice, and I chose not to. I wanted this essay to really be about women working together and coming together. shana: Right. How do you hope the world of children's publishing will change in the future? Sarah: As a writer and the mother of an editor, I hope that we continue to grow and change and challenge ourselves. I want us to open our doors to more diversity, to more color, to more ethnicity, to more religion. As a Jewish writer, I think that we all understand what it means to feel as the other, and we will all grow and change and be stronger once those doors are wide, wide open, and everyone is welcome in. shana: That's so wonderful. I believe these conversations we're having and these issues we're bringing up will help open those doors even further. shana: So, as we're wrapping up here, I would love to hear what you are working on now. 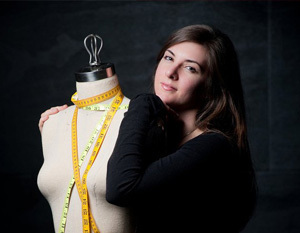 Sarah: I am working on the fourth book of the Wish List Series, which is my take on fairy godmother training. I was a kid who loved fairy godmothers, but as an adult, I saw that they didn't do very much, especially for the wishes of today. So, these books are about fairy godmother training. Sarah: Book three was inspired by the Women's March of 2016, and a sign that said, "Sparkly but bitter." shana: Oh, I kind of love that. Sarah: So, right now I'm working on tying the whole series up together, and thinking about this community of women that I've been writing about for four books, and where I will leave my reader. Sarah: Will Isabelle become a fairy godmother? I think the jury's out. shana: Ah. So, no spoilers, huh? shana: Not here. That's great. shana: All right. For the final question, what is your biggest publishing dream? Sarah: My publishing dream is for Jane Fonda to read my books and become Grandmomma. Sarah: I loved writing about the fairy godmother world, and if Jane Fonda could just come and be Grandmomma. She was my first role model as a protester, as an aerobics instructor, I used to work for Jack LaLanne, and as an actress, I just love her. I thought about her a lot when I was writing Grandmomma. Sarah: I also think that Oprah Winfrey would make a great [Zahara 00:08:24]. Just putting it out there. shana: You know what, I love this dream. This is a great dream. That was a great publishing dream. Sarah: Thank you. It should only come true. shana: Well, you do have fairy godmothers on your side now, so, let's see it happen! Sarah: That's right, I waved the wand. Sarah: These books have allowed me to wear tiaras, which, I'm going to say, is a fantastic thing. shana: That is absolutely fantastic. shana: Well, thank you so much for joining me in conversation today.